This season, pumpkin is anything but basic. 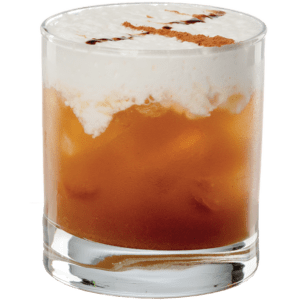 Whether you’re whipping up a rich and creamy Russian Pumpkin cocktail or adding the finishing touch to your Pumpkin Pie Martini, use Reàl Pumpkin for all your go-to cocktails this fall. Combine first three ingredients in a mixing glass filled with ice. Shake and strain into a rocks glass filled with fresh ice. Top with whipping cream, garnish and serve.